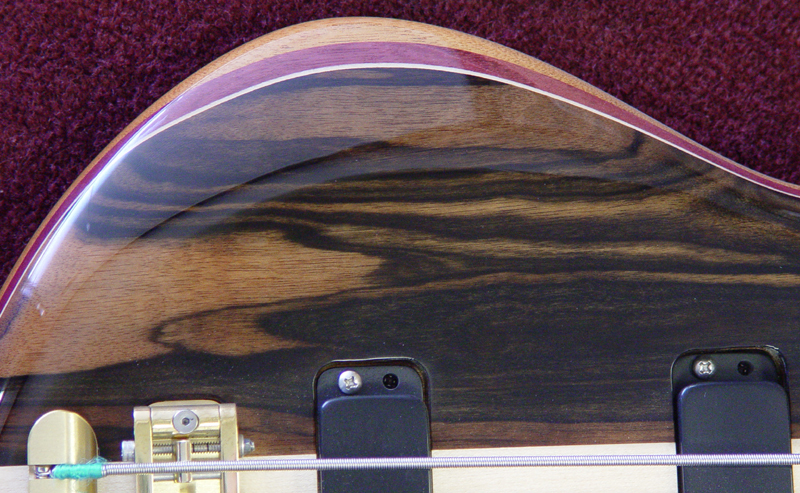 There's nothing like Macassar Ebony. It's a very dense wood, and that preserves the highs as well as the lows. Overall dark in appearance, but with swashes of lighter brown, it's simply elegant. 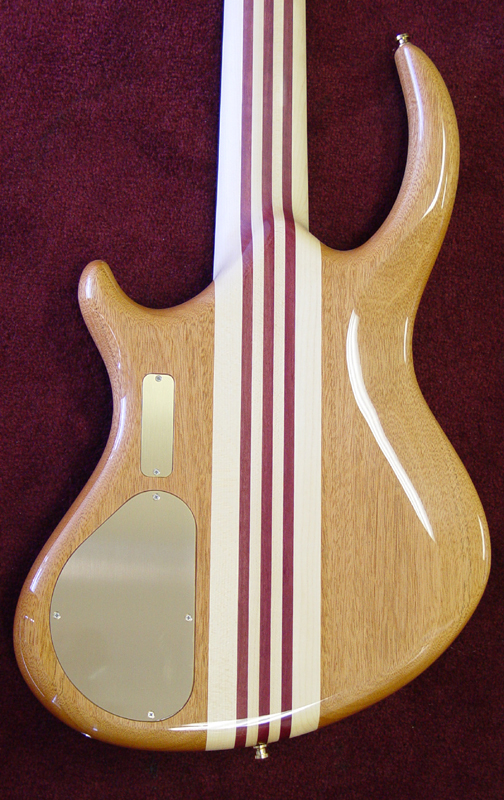 Extras on this bass include an upgraded 35 inch scale neck of Maple and Purpleheart that supports the lows very well and makes for a nice, stiff neck. 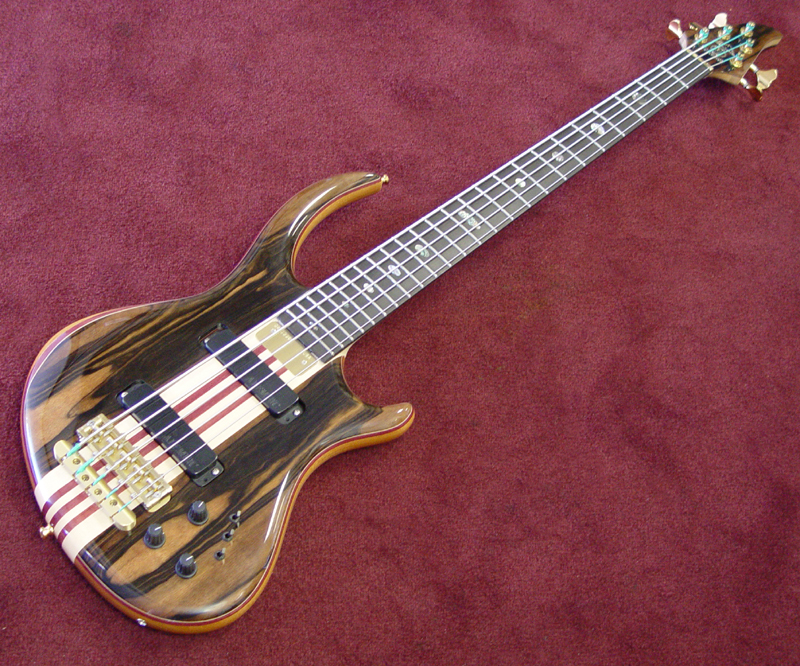 Abalone oval inlays are also a nice extra - they coordinate so well with the Purpleheart in the bass. 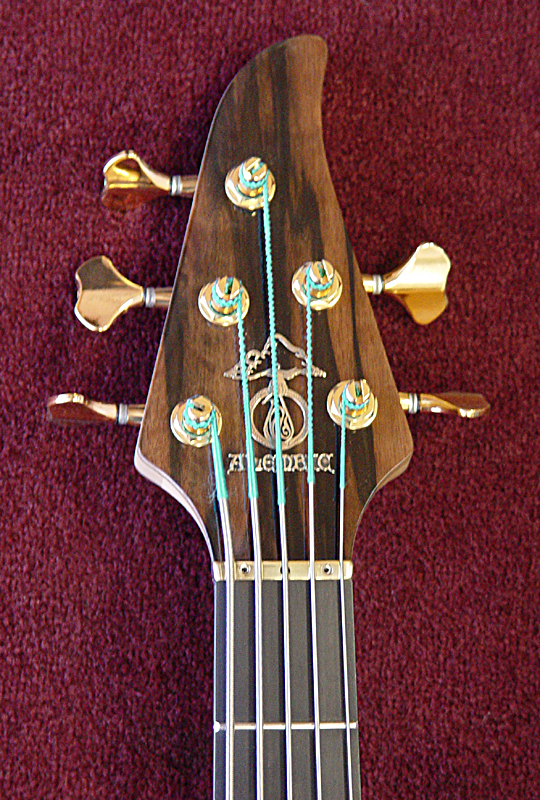 Typical of Alembic tone, this bass is clean and clear, with plenty of low and high end response.